It’s time for another Fashion/Interior Decor post. Fall/winter runways have had some really inspiring trends this year. So many of them can easily be translated into home decor to produce beautiful results. I’ve chosen the 6 most popular, but if you are looking for some inspiration for your home outside of the norm, try searching through the hundreds of runway photos on fashion sites to give you a new perspective and ideas on design. Fashion designers are always trying to think of the next big thing, so you may spot a great idea for home decor in their archives before anyone else catches on. To get you started, here are 6 of the most popular fashion trends from the fall/winter runways with correlating home designs. TARTAN PLAID has made a comeback on the runway this season and is a perfect pattern for holiday decor. It gives a nice classic punch to a table setting, stockings, pillows, or even a side chair. PLEATS have been ruffling up the runway with their whimsical flair. The pleated look goes great with chairs. You can find many pleated slipcovers to give your dining room chairs, sofa, or arm chair a fresh look. ACADEMIC looks are in style with classic patterns such as tweed and pinstripes. 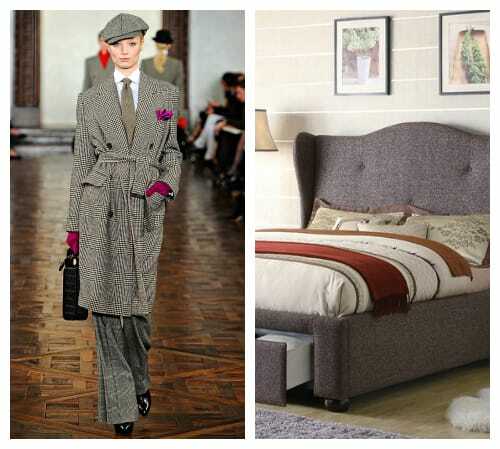 The style is very tailored and clean, as seen in this tweed bed. WINTER WHITE is a sophisticated staple for the season. There are myriad ways to incorporate this into your home, as white goes with just about anything. Even a faux fur throw or pillow is a nice touch. 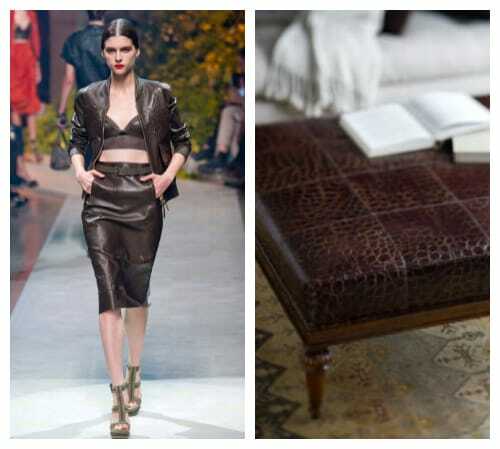 LEATHER is a recurring trend this year. It’s a timeless material that looks great throughout a home. It shines on both larger pieces and smaller accents, such as an ottoman or bar stools. GRAY continues to find popularity with its subdued, classic appeal. This color is a great contemporary choice for walls and a soothing palette for any room, especially a bedroom. 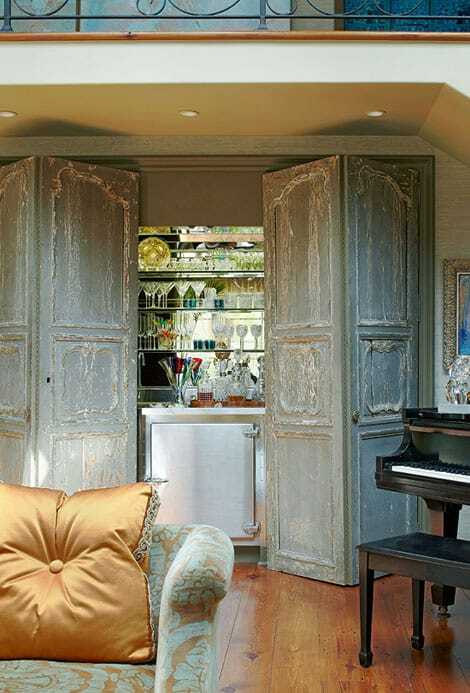 Has fashion ever inspired anything in your home? Truth is, we all love to be “in style”. And while style is easy to spot from a catwalk during fashion week in NYC, it’s also safe to say that, that said style can be found as a display in any storefront window. Which means interior design is included. 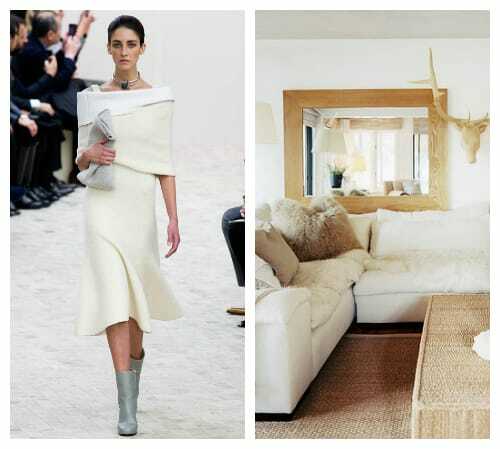 Because fashion dictates style and style dictates décor. Which is why you can just about always expect any trends in fashion to show up in force in almost every other aesthetic medium you can think of. I guess we just can’t ever get too much of a good thing. What can you expect to see this season? Prints, prints, and more prints. In fact, go ahead and use the stylist jargon and call it print on print (All the good names were taken). You’ve probably seen the clothing take on this trend already; some designers like Louis Vuitton have taken the mod approach with an homage to Twiggy. Think structured geometric prints in monochrome. 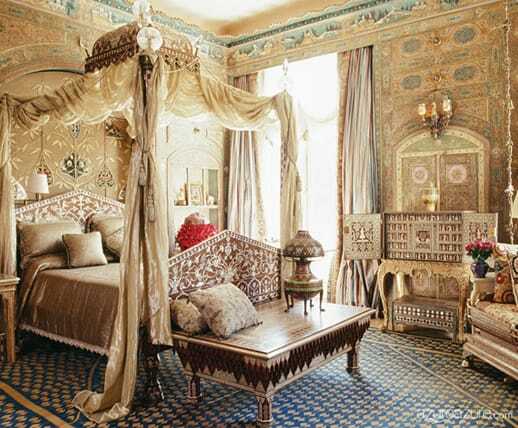 Meanwhile, others like Dolce & Gabbana have opted for paisley, read anywhere from Oriental hues to Southern belles. Then there is always the classic standby- floral, which was executed flawlessly by Erdem. But European fashion houses aside, it was only a matter of time before this trend came around. After all, Asia has been playing with print on print in clothing for years now. Not to mention how much English country homes have been obsessed with it for generations, a quick look-see in any Rothschild manor or villa will prove this. Of course now that American Vogue has jumped on the bandwagon, we have no other choice than to go all in. Literally. Which means interior design is no exception. You heard it here first folks! Don’t get nervous, just because it’s a trend doesn’t mean you have to rip out carpet, binge buy Oriental rugs, and sell the new furniture set. Nor does it mean you have go out and buy a whole new china set, and burn any current bedding. Unless you really want to. (Which isn’t so far fetched because this is a trend that is everything you want it to be and more). Rule of thumb: If it can fit in a shopping cart it’s an update, if it has to be delivered to you then it’s an overhaul. And whether or not you are just updating or overhauling – print on print will work for you. After all, it’ll be on all things big and small. Pretty prints are no size-ists. Just like anything, use your personal preferences when working with print on print. If you love clean lines and the modern look, stick with the geometric monochrome prints. 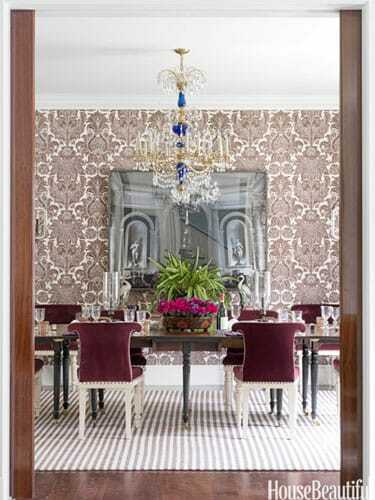 If you are a romantic, like me, then play with florals and vintage patterns to create you aesthetic. The great thing about print on print is that you can play with so many colors without looking like you went A.D.D with your color palette. The key is combining prints with similar color palettes but different proportioning, just like in clothing. 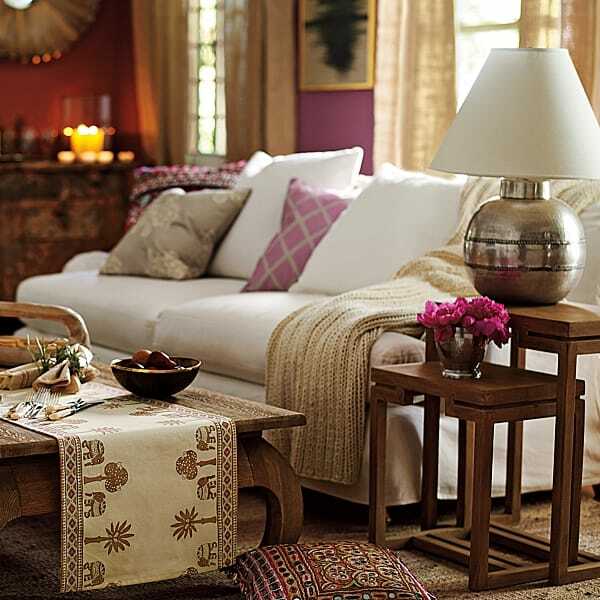 You can use prints in something as small as lampshades and throw pillows, to larger items like wallpaper and curtains. It all depends on how much print you can take. Of course, when it comes to the realm of interior design, print on print can be extended to layering textures and fabrics together as well. Just like in fashion the key is to be playful and bold with how you layer prints. To make it work; make it you, your personal taste and style. And of course, the old adage still works: less is more. Too much print reads too matchy matchy. Put in some playful layering here and there. Consider this trend a recycling from aesthetics seen in the 60’s and the early 18th Century. So when looking for inspiration you can pull from there too! Oldies but goodies, you know? Regardless of how you feel about print personally, it’s a trend that is going to be around in various forms for a while. To be ahead of the curve start snapping up patterns you love now, before it shows up on a grand scale and it’s near impossible to find the quirky print you loved from that catalog. Or even worse, before that print you loved showed up everywhere and in every living room while you have to sit there knowing you would have done it better! You have probably noticed by now that accessories with translucent or glossy textures are a BIG trend in both fashion and interior decorating. They have been for a while now. And why not? These textures are sophisticated, contemporary, and add a touch of glamour wherever they are adorned. 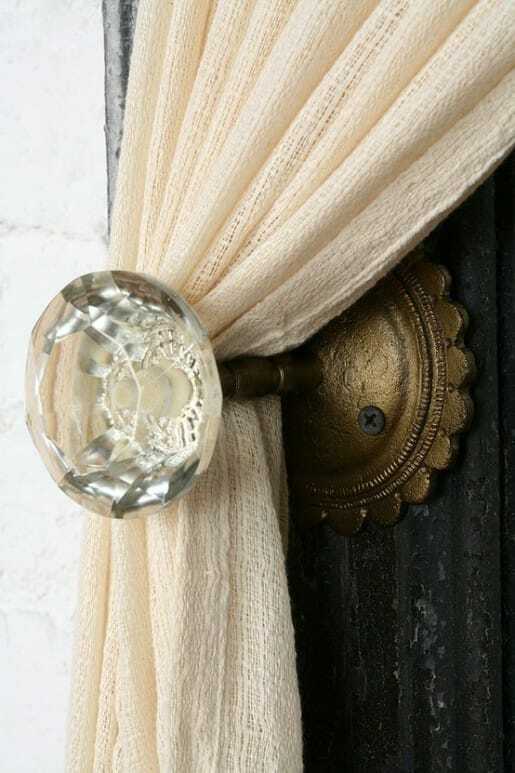 If you think your space is a bit drab or needs a little something extra, try incorporating an accessory with a clear or metallic finish to give it that extra pizazz you are looking for. You don’t even have to buy something new; there are metallic paints and spray paints that you can get for your own DIY refurbishing! There are a variety of ways you can incorporate shiny and metallic textures into your home, so check out some of these ideas to get your creative juices flowing. 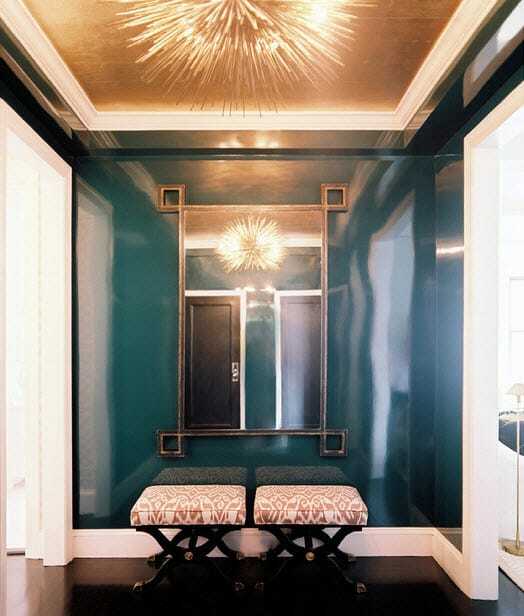 The next time you are looking at a room and think to yourself, “This room needs something,” consider adding a shiny or metallic element somewhere to give it the glamorous kick it needs. Even the smallest accessory can make an impact. I started a series of posts I call Fashion & Interior Decor which I kicked off with 2012’s fall fashion trends that could easily translate to interior decor and explained how to use them to inspire you. There are so many sources to take inspiration from for your home decor and fashion is one of the BEST. 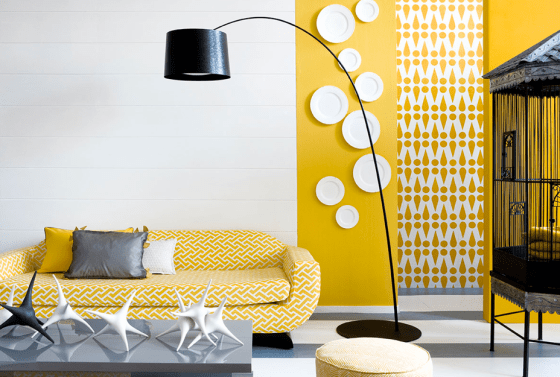 Interior design and fashion are closely related because it’s all about creating a style of self-expression using color, textures, fabrics, and accessories. Looking to trends in fashion can give you some fresh ideas you may not have thought of. With spring just around the corner (March 20th, to be exact) it is time for a new round of fashion trends. Green, the proclaimed color of 2013 is incredibly versatile color that can be kept in mind while looking through these new spring trends. BLACK AND WHITE is the most classic color combination and it’s trending in fashion this spring. Its contrast can be sophisticated, funky, feminine or masculine depending on the style of furniture and the accents that are paired with it. It pretty much goes with everything, so your creativity is the limit. STRIPES are another classic design element that never goes out of style. They are best in small spaces or on an accent wall. They do wonders to make a low ceiling seem taller and give a space that little extra something it may be missing. FLORALS are a lovely way to add elegance and femininity to a room, especially a bedroom. There are a multitude of patterns and colors to choose from. Depending on what you like, they can be a great focus of a room or simply an accent. 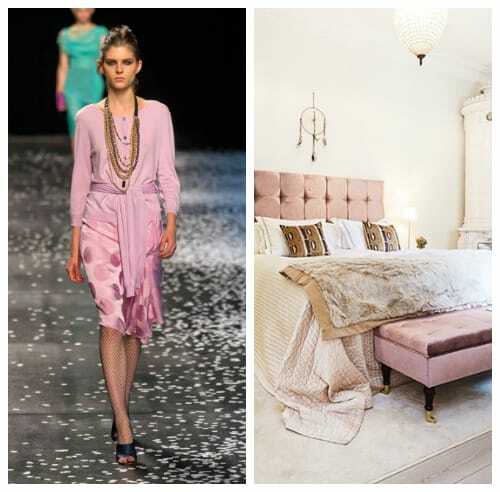 PASTELS are a true mark of spring and were all over the runway this season. They are soft, soothing colors that are beautiful choices for any space where you would like to go to feel relaxed and refreshed. Hope you are feeling inspired!